Description: Pink spheres, radially zoned with kozoite-(Nd). Surface of spheres are reported to be kozoite-(Nd). 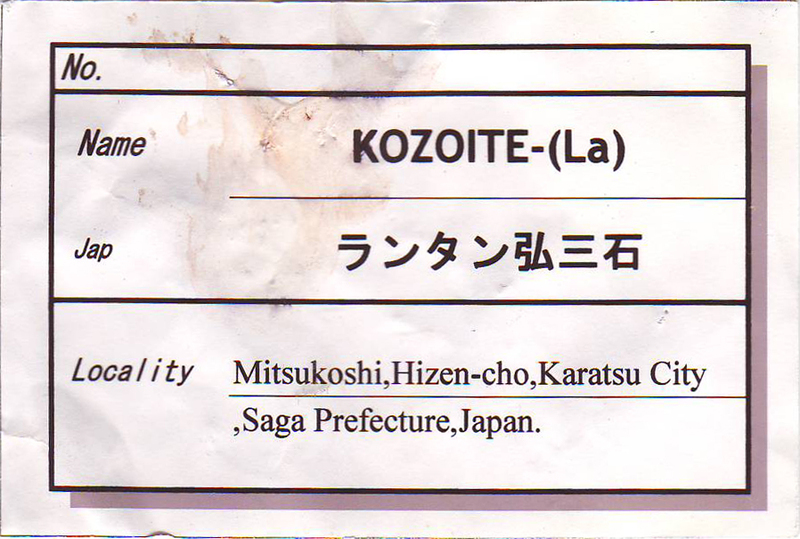 Kozoite-(La) are distinguished from kozoite-(Nd) by being closer to white. Status: The identification of this mineral is not yet confirmed.